Impressive new construction in beautiful tree-lined Selwyn Park. 4 bed 3.5 bath twnhm (you own land) overlooks little hope creek from 2 decks & patio. Upgrades galore, 10ft ceilings main, 9 up, 8ft craftsman doors, site finished hrdwds, granite counters in kitchen & baths, full tile baths, all wood cabinetry, upgraded lighting, custom closets, fully finished walk-out basement, energy efficient systems + doors/windows, Samsung appls...All in walking distance to the best bars/rests in Charlotte! 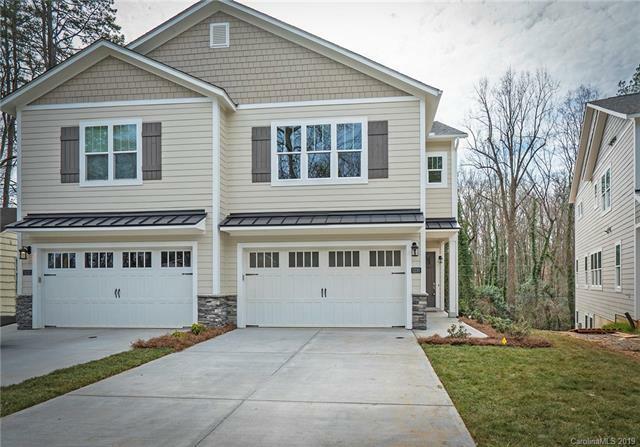 A very unique custom redevelopment of just 22 townhomes in a peaceful nhood setting with huge lots, unlike any other townhomes in Charlotte.